There are currently about 65,000 students in the Chicago Public Schools that are in these programs and every year it increases even more. The Illinois School Code, Article 14-c, mandates to identify new students that come from a different language background and evaluate their language skills when they first enroll in the Chicago Public Schools. Once they have been evaluated and identified they are enrolled in the Transitional Bilingual education Program where they will spend about three years. There are alternatives as to how long they would fallow the program only if parents requested in writing to the CPS. English as a Second Language Goals and Standards Pre-K through 12 was publicized in 1998 to orientate what students should be able to understand according to their grade, age and ability level. 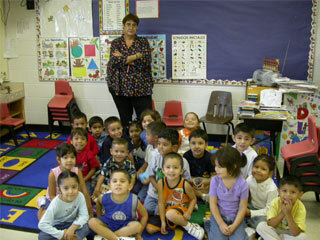 There are 275 bilingual programs in the CPS which are divided into nine Field Facilitators. Each facilitator is in charge of arranging the instructional support and also monitors the programs to make sure that they are fallowing the CPS policy and the School Code. All bilingual Programs must agree with the Education Initiatives and CPS Language: A Framework for Success.